Lucy Canda : 46 years old from Surigao Sur. Suspected of being an NPA. Arrested on Oct. 15, 2006 after a firefight between the NPA and government forces as they were travelling along the national road of Tagbina, Surigao Sur. Charged with rebellion. Her case with two others were docketed at Branch 3, Bislig, Surigao Sur. Atty.Mamerto Alciso, their counsel convinced them to plead guilty as he promised to procure amnesty for the accused if they plead guilty. And they did. Convicted and to languish in jail for 12-14 years. 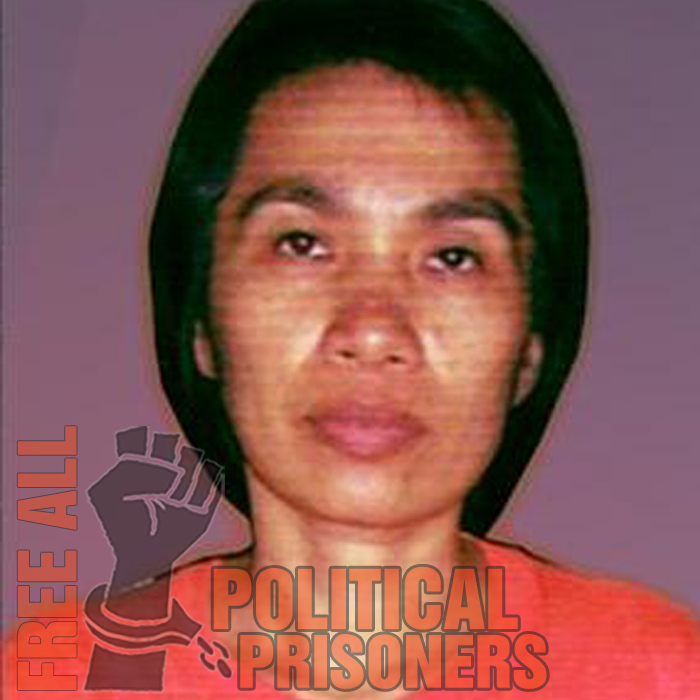 Presently imprisoned at the Correctional Institution for Women, Mandaluyong City. Had been in jail for more than 5 years now. Lucy has been separated too long from her family. She has 5 children and her absence in the family has affected so much in keeping her family intact. It has also affected the schooling of her kids.